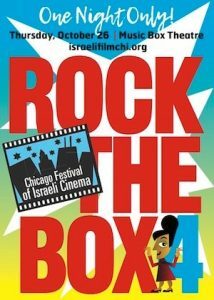 Part of Rock the Box 4: Tel Aviv Street Party at the Music Box Theatre. 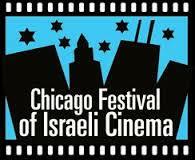 Closing Night Film at the ArcLight Cinemas in The Glen, Glenview. Hosted by Temple Chai. Joshua, an 80-year-old Holocaust survivor, discovers one morning, that a cellular antenna was installed on the roof of his house. It turned out that his Tel Aviv neighbor has rented his part of the rooftop to a cellular company. Joshua feels a terrible injustice was done. He starts obsessively believing that all his diseases and pains are caused by the antenna’s radiation and goes to war against his neighbor. His wife Sarah, and his three adult sons are dragged unwillingly into this vortex. The crisis reveals the personal problems of each of his sons, and they are forced to deal with their father’s dark shadow. (Rothstein) has crafted an engaging family drama sprinkled with humor that paints a picture of the Jewish mentality with both love and reproach. On another, deeper and darker, level, it reflects the political situation in Israel, and how its people carry the burden of history into their private lives.